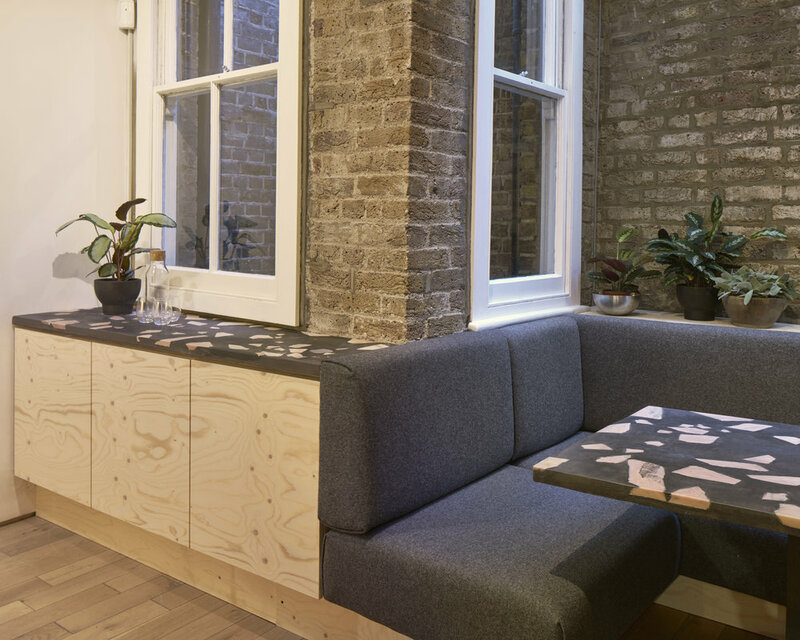 A COMPLETE INTERIOR DEsign and fit out for Hi-Res, a design studio in shoreditch, london. for the main meeting room, A 10 seater meeting table with pendant lighting installation from international, divided from the rest of the space by a floor to ceiling timber screen. 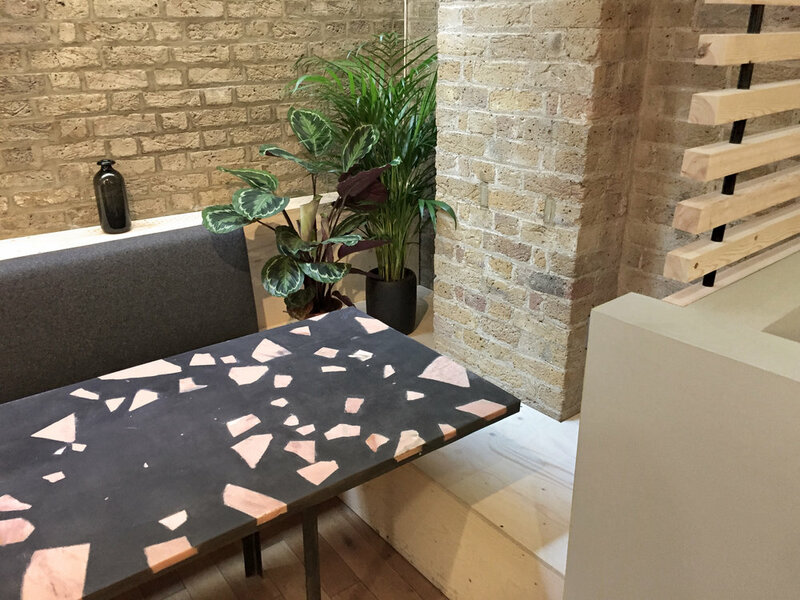 for the casual meeting area, A bespoke felt upholstered seating booth with a hand cast terrazzo table and matching sideboard countertop. 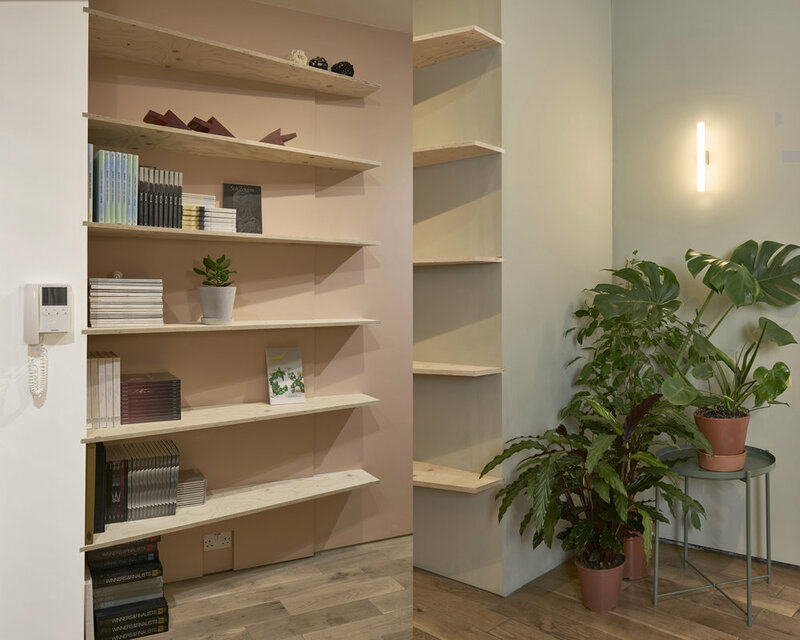 new Wall lighting installed throughout, timber screens, and several painted feature walls divide the open plan space into areas of different function and ambience. Materials: Spruce, Steel, Concrete, Marble.